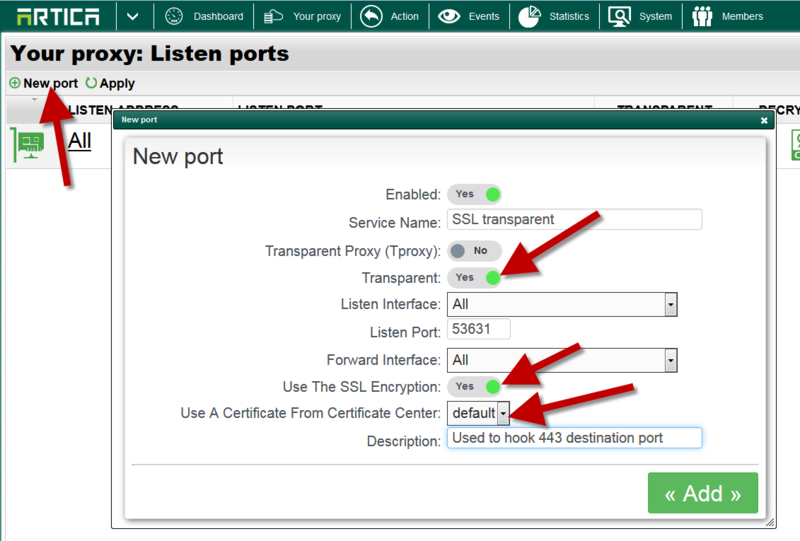 Home » SSL Protocol » How to enable SSL support on your Proxy ? 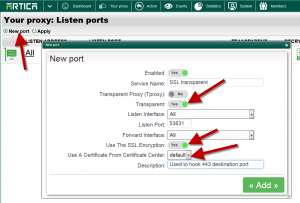 How to enable SSL support on your Proxy ? In connected mode ( set proxy in browsers ): The proxy will only pass the connection to the target We server. In Transparent mode: The 443 destination port is not forwarded to the proxy and TCP packets are sended to the next hope. 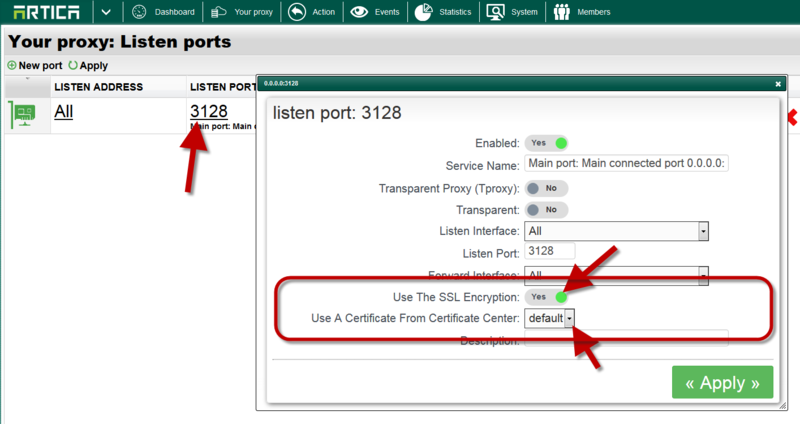 The SSL support in Artica v 2.x is drived by the “Ports” section. 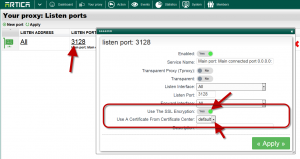 The ports section allows you to create a port and/or define SSL options inside the defined port. To enable SSL with connected mode, you did not need to create a dedicated port, just open the current used port. Turn On the “Use SSL Encryption” option. With transparent mode, you need to add a new “Internal” port that allows the network card to redirect 443 destination port to a local proxy port. In the same way of the connected method :Turn On the “Use SSL Encryption” option. Click on Apply button on the main table to make ports available in production mode.